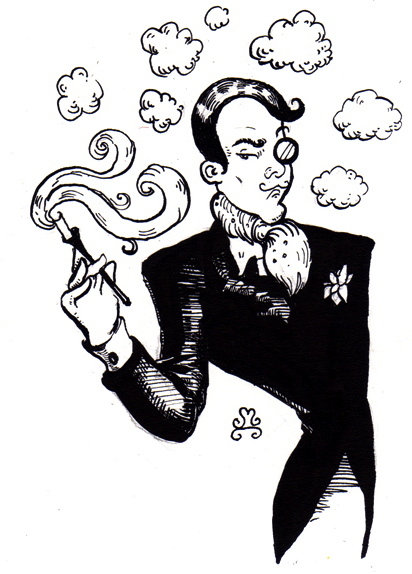 Clean linens in public… Bellodgia by Caron The Perfumed Dandy’s Scented Letter | The Perfumed Dandy. What wonderful imagery, Mr. Dandy. I loved that review. 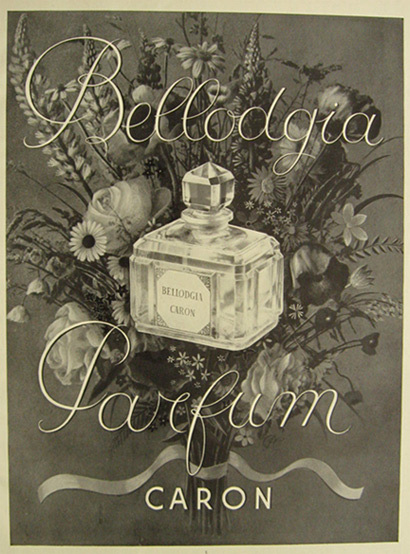 Clove and carnation seem to over-dominate my skin, but Bellodgia is one my earliest perfume memories. I’m pretty sure my mother had that faceted crystal bottle, though you have said elsewhere that other Caron fragrances were in the same bottle. I will have to sample Bellodgia again sometime, but I will be sure not to try the reformulation. Perhaps if you go into Bellodgia knowing that what you’re going to get is a whole heap of clove and carnation the reality might not be as bad… a little like bracing oneself for pain! Piu Bellodgia really isn’t worth even trying. The previous version in the art nouveau bottle of the 90s is not bad… but as you go further back things get better! Wouldn’t it be wonderful to have access to a whole range of old Caron perfumes so that we could find out which one it was your mother wore? For at certain times there were a few in that very flacon. Perhaps it was En Avion, Poivre or, indeed, Bellodgia. You met her! I love the thought of that. I will be thinking of her now…and wondering. Just so… we’ve all come into contact with her, and quite recently too, though that time she was on tv and in her finery. Welcome to the Dandy’s… do please make yourself at home. If you’ve been brought here by an enjoyment of Caron perfumes, then you’ll find plenty of tales about them as we’re just reaching the end of a little summer celebration of the house. If it’s love of perfume on general then I hope you’ll find yourself in good company. Oh my! How beautifully you write, I shall be returning here again for more lyricism… This is a perfume that I have yet to experience but now I think I simply must. I love carnation when it smells as plush and red as it’s petals, I am looking for a fragrance that epitomises these slightly ragged, romantic blooms with sincerity. Would Bellodgia be where I’ll find it? Thank you again such generosity. Carnations are well represented in the work of Caron generally, vintage Bellodgia, En Avion and Poivre (all reviewed recently) stand out, but they are elsewhere too. It’s something of a signature for the house. Sadly though, the vintage scents, becoming more difficult to find with time, are the best, so its always good to hunt them out! It’s such a pleasure to find someone else as devoted to the oft-ignored and slightly out of fashion beauty of this flower. Please excuse the double comment! I’m not in the habit of saying everything twice I promise. I look forward to spending more time here in future, for now it’s goodnight. Aha, it is the “survivor of another age”, En Avion. “Clove for his cologne, carnation for his buttonhole. Clean musk for memory.” <<<That was the hint. I was thinking about Jolie Madame, actually, making soup and sewing the leather jackets or Baader Meinhof. But she is a totally different sort of survivor, one from the other side. Perfumes are gateways to the past of we allow them to be unlocked. You mother must have smelt splendid in her vintage Bellodgia! I loved the review Dandy… Mary and I have lunch often. When you come back to San Francisco you have to meet her. How lovely to hear that Mary and yourself and lunching companions… yet one more of the plethora of reasons why that trip to St Francis Town is a when rather than an if!